Dr. Me’Ja Day’s journey to becoming an ophthalmologist is a love story. She grew up in Pearson, Georgia, and was the first of her family graduate from college. She had a brilliant start as valedictorian of her high school class. As the family trailblazer in higher education, Dr. Day had complete freedom to choose her own path. That led her to major in chemistry at Spelman College and then enter the strong premed program there. After her second year at Spelman, she participated in a summer program at Yale University School of Medicine, where students were immersed in medical student life. That’s when Dr. Day made the decision to become a physician. As a student at Morehouse School of Medicine, most of Dr. Day’s first shadowing experiences were in the emergency room and the trauma bay at Grady Hospital. Dr. Day recalls following a patient that was admitted with multiple gunshot wounds requiring multiple procedures while on her third-year rotations. One of the procedures was an eye surgery, and Dr. Day was absolutely fascinated. She immediately began to learn all she could about it, going to clinics with Emory doctors and falling in love with eye surgery. As a result, she chose to specialize in ophthalmology. 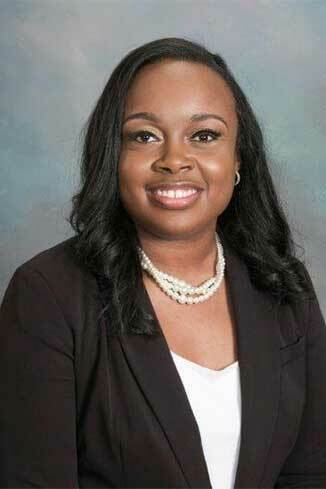 She completed a transitional year program internship at Spartanburg Regional Hospital in Spartanburg, South Carolina, followed by residency training at Louisiana State University in New Orleans. Dr. Day will be practicing both in our Griffin office and, upon completion, in our new office and surgery center in Locust Grove. Dr. Day lives in McDonough with her husband, Sedrick, and their two daughters, Arielle and Aria. In her spare time, she enjoys community service, volunteering, and mentoring the youth. She loves traveling and is looking forward to traveling the world with her family.